There is a very old deodorant TV commercial that had a catch phrase "never let'em see you sweat". When you're looking for a job this mind set is crucial to landing a job quicker. So you have been downsized, right sized, transitioned out, layed off, fired or you just said, "Hey I quit, adios". Each situation is a blessing, because now you have a chance to explore some options. Life is about choices. Some choices are not always good ones, but nonetheless, there are always choices. Contrary to popular belief, it is not the end of the world. I would recommend immediately telling your significant other and NO ONE ELSE. More on that tactical strategy in a minute. You could blame anything and everyone at this moment. It's not important any way you slice this crab apple. What is important is keeping your options open by exploring your choices. What are the choices, now that your sole source of income has been cut off? - You could have a big fat pity party. - Maybe you could take some time for you, reflect and enjoy life a little bit. 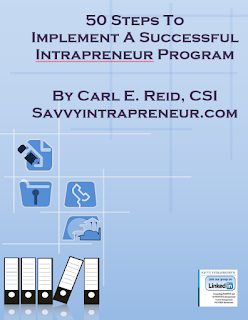 - You can put your skills to work for YOU by starting a business. - You could stow away on a plane or cruise ship and travel the world. - Maybe you just do nothing and potentially become homeless. - Although not all good, the choices are endless . 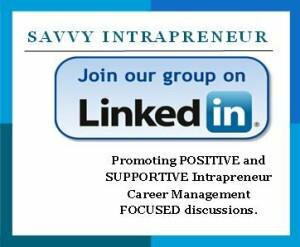 . .
Be a Savvy Intrapreneur. Look for a job, but start running YOU like a business this time. The first order of running a business is never have just one (1) client, customer or EMPLOYER. That's another blog entry for the future. So you have decided to look for a job. 1st: Hire a career coach. S/He will help you get your resume in order, but more importantly a career coach will help you exponentially minimize your job search. They are your sounding board to keep you focused from one week to the next in landing a job quicker. Since your income is limited you may think a career coach is out of the question. Career coaches, like myself, value referrals more than anything else. Offer to refer your friends at work or any friends working to a potential career coach. The best time to hire a career coach is when a person is gainfully employed. This will help endear yourself with your friends and get a career coach to help you at the same time. 2nd: Call your friends at work just to say hello. When they ask, "how are you doing", you say, "I'm doing fantabulous. I'm already exploring a couple of options". That's not a lie, because you're looking at some of the choices above. Look for sympathy from no one. If people know you're OK, they will want to continue to be around you. If you start serving cheese with your whine, then people will avoid you like the plague. 3rd: When you speak to family, friends or people that are close to you do not tell them you're unemployed. They love you, but they will avoid you like the plague also. Plus you don't want to hear their song and dance about what you should have done differently. 4th: Don't let potential employers know you're not working. In the next scene, you might be making less than you were previously. If people know you're not working, that's a serious problem for you. Volunteer at an organization that can utilize your skills. Call a friend who runs their own business and offer to help them out. Do something creative so your resume shows you're still working. If you can get a previous employer or boss to say you're still working there, that will work too. Do anything to show you are still working on your resume. This strategically positions your skills as marketable commodities. You place yourself in a better position than most people. Which actors get hired to make a movie? Actors that are still working on a project get hired. Telling people you have no job could be very detrimental to your income. Hence, my statement above about only telling your significant other and NOT TELLING other people about being unemployed. People like to be around winners. Employed people are winners to other people. People perceive other people that are unemployed as having a disease. A terrible thought, but a very true reality. "Never Let'em See You Sweat" - Hire a career coach and negotiate to create a win-win situation to expedite your job search. Tags # Give Yourself A Raise # Re-Engineer ME Incorporated. Labels: Give Yourself A Raise, Re-Engineer ME Incorporated.